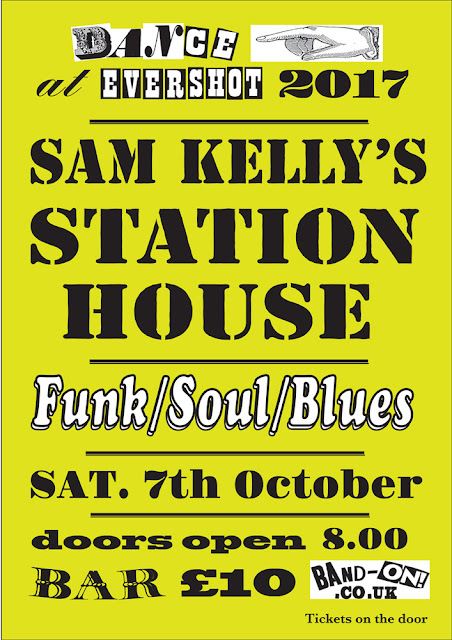 Sam Kelly's STATION HOUSE BLUES is a "groove" band with dancing very much in mind.Their musical catalogue includes Johnny Guitar Watson, Keb Mo, Jimi Hendrix, Bob Marley, Gary Moore, Stevie Wonder, Little Feat to name but a few. Their unique sound is influenced by New Orleans second line, soul, jazz, calypso, reggae and British funk. With three 'lead' singers supported by percussionist and internationally acclaimed drummer, the result is an eclectic fusion of music with its roots firmly based in blues.